As the year draws to a close, Nicky Romero recently dropped his collaboration with Budapest based duo Stadiumx, ‘Harmony’, which is out now via his Protocol Recordings imprint. Played as an instrumental earlier this year during his Ultra Music Festival set and apparently becoming the main ID from this performance, they join forces once again for this vocal rendition. Premiered on Protocol Radio last month, the track amassed 50k plays on SoundCloud within the first 24 hours. Keeping the original backbone and melody intact, they induce synths alongside vocals curated by Georgia Ku. 2015 has been a good year for Romero. From appearances at major festivals across the globe, including Tomorrowland and EDC Vegas to a debut at Ultra Japan, plus his own Protocol label nights in Miami, London, Amsterdam, as well as landing a residency at Omnia in Vegas, his live shows aim to show he is possibly 'one of the world’s most in demand DJs'. 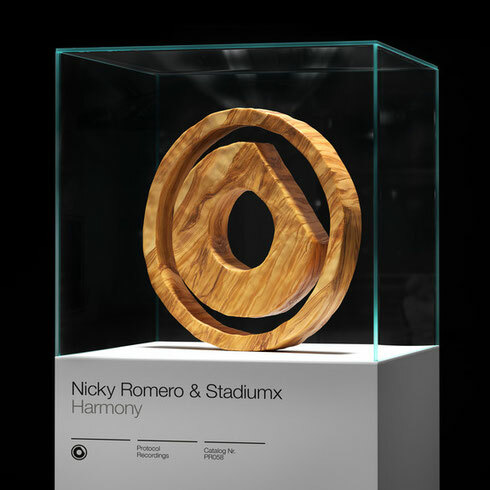 With the release of new material such as ‘Lighthouse’ – the first in the Nicky Romero Trilogy – and this collaboration with Stadiumx, Nicky has made his return to the production fore. For 2016 Nicky will be ringing in the New Year at Pier 94 venue in New York, alongside The Chainsmokers, Travis Scott and Ansolo. Marking their third release on Protocol, Hungarian pair David and Sullivan - aka Stadiumx - have just cause to celebrate. With their first single ‘Howl At The Moon’ earning them the Beatport #1 spot and going platinum, its follow up, ‘Ghost’, has proven popular too.